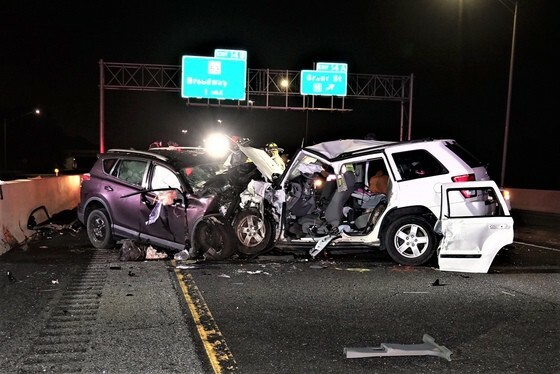 A crash involving a wrong way driver on the Indiana Toll Road resulted in four deaths and three people who sustained serious injuries. The preliminary investigation by the Indiana State Police reconstruction team revealed at approximately 1:40 a.m, on Saturday, Sep. 1, police dispatched a report of a wrong way driver going west bound in the east bound lanes of traffic from the 21 mile marker on the Indiana Toll Road. It was also reported that the vehicle was allegedly driving with no head lights on. A few minutes later, police received a report of a head crash at the 13 mile marker, which is near the Grant Street exit on the toll road. A 2017 Toyota SUV had crashed head on into a 2007 Jeep SUV that was traveling in the left lane. The driver of the Toyota died at the scene. The driver of the Jeep, Octavio Chavez-Renovato, 45 of Chicago, Illinois, also died at the scene. His wife, Eva Gonzales, 34, and son, Luis, 14, were also killed. Three other children in the Jeep, ages 7 months, 10 years-old and 11 years-old, were air-lifted to hospitals in Illinois. Alcohol may be a factor in this crash, according to Indiana State Police.